We'd love to be able to throw out a number when someone asks us this question - it would save a lot of time and work! But unfortunately, we aren't psychics. Pricing for managed IT services is so variable even an educated guess could be way off. Cost is determined by many factors and is totally unique for each business. An in-depth consultation to determine your current setup and needs is a requirement to get an accurate rate. 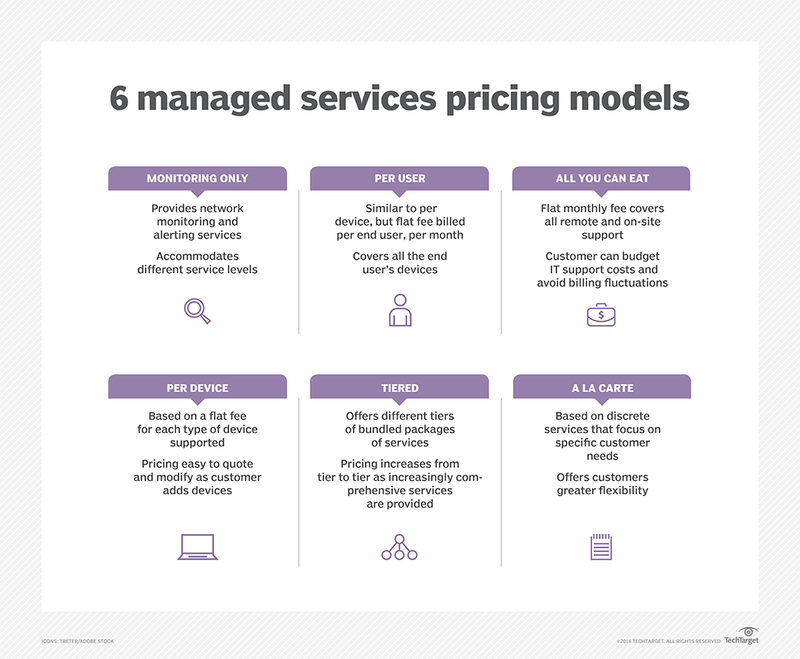 What affects managed IT pricing? Generally, MSPs will base their monthly rate on either number of users or number of devices. For example, an MSP determines that based on their needs and the level of management required, a company should be charged $200/month/user for its services. That price will cover management, maintenance, and troubleshooting of every device each person uses in their work (desktop, laptop, phone, etc). Or, they could decide that regardless of the number of employees, a company should be charged $150/month/device. No matter how many people use that desktop computer, the client will pay $150/month for all management, maintenance, and troubleshooting for it and the same goes for every other device. Some MSPs only use one pricing method. Some will go back and forth depending on each business they work with and what makes the most sense. And some MSPs may use a different model completely. We aren’t a one-size-fits-all shop like some other managed service providers. We tailor our solutions to the unique needs of your business. While we can't speak to every MSP, we recommend being wary of any who will give you a price without a thorough consultation and explanation of the costs. It may seem like you're getting a good deal at the start, but this is a surefire way to run into issues down the road. Monthly cost can range from a few hundred to a few thousand dollars. Unfortunately we can’t give a more accurate answer than this until we get to know your company and its needs. If you'd like to find out about managed IT for your business, request a consultation! Or keep learning more about managed IT services.